Abraham Heschel teaches us that self-respect is the root of discipline. He also says, most tellingly, that the sense of dignity grows with the ability to say no to oneself. Presumably concomitantly one’s concern for the dignity of others is then a direct consequence. In suggesting this I have in mind a student’s answer to the question, "What is the source of human rights?" The answer she gave was; "Human needs." 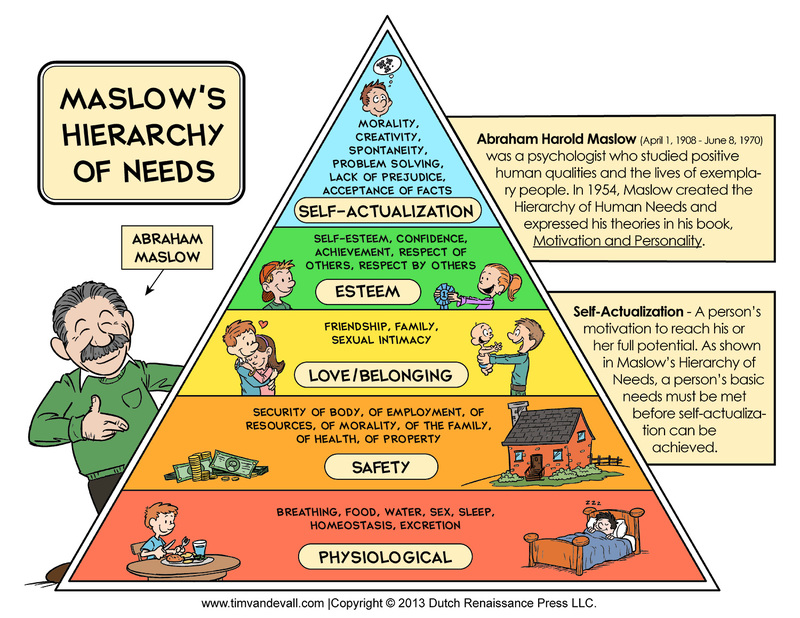 There are many presentations of Maslow’s hierarchy of needs, almost none include the one he added in later life’ self-transcendence.